In 2005, the City of Huntington Beach adopted the 3rd Battalion/1st Marines out of Camp Pendleton, CA. The Huntington Beach 3/1 Marines Foundation was formed in 2006 to oversee all projects, programs and activities in support of the Marines, Sailors and Families of the "Thundering Third." 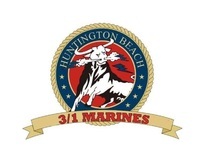 In 2012, Huntington Beach Municipal Employees Association stepped in to sponsor the 3/1 Marines. Since this undertaking -- and with the help of our amazing runners and sponsors -- our 3/1 Fun Run/Walk has been a sell-out nearly every year! Register early and don’t miss this amazing event! 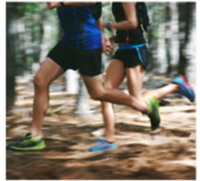 5K Fun Run/Walk along the beautiful Huntington Beach Coast begins at 8:00 a.m. sharp on Saturday, March 9, 2019. Runners and Walkers will take off from the parking lot at Beach Blvd./PCH and proceed North towards the Pier and back again (relatively easy course with one small incline). NO ANIMALS allowed on the course. We will be filming the event! Please come support the 3rd Battalion/1st Marines and enjoy a great morning at the beach! Pancake breakfast served by Huntington Beach Firefighters after the race and is INCLUDED in Run Registration. Breakfast is also open to the public for $5 per person. The beer garden is also back by popular demand! There will be a packet pick up set up on Friday, March 8th. The location is TBD. If you are not able to pick up your packet on March 8th, you will need to arrive by 7:00 a.m. on the morning of the race.